antique polychromy | Vivat! Crescat! Floreat! 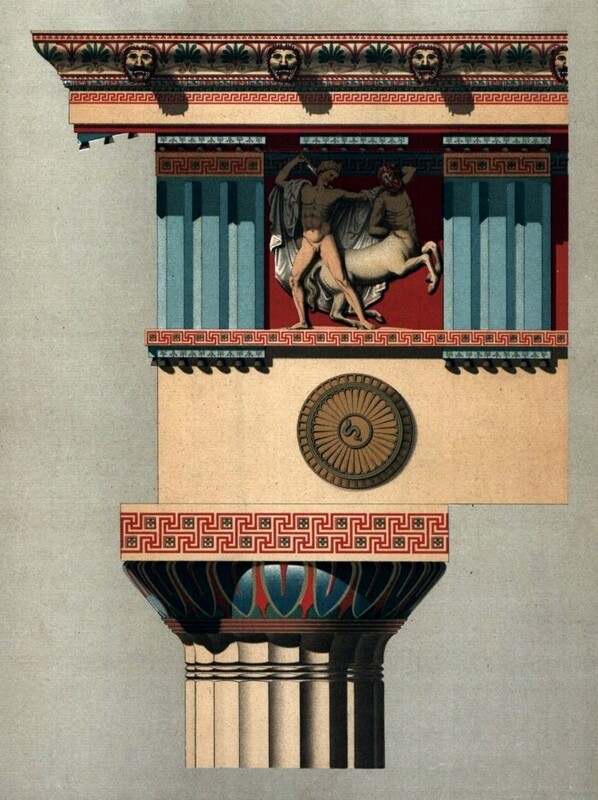 Reconstruction of the polychrome finish of a Greek temple of the Doric order. It might be the Parthenon in Athens (compare Leo von Klenze’s reconstruction). Chromolithography published 1883 in the series Kunsthistorische Bilderbogen by E. A. Seemann in Leipzig, cropped (see it with original text). Leo von Klenze’s reconstruction (or ideal view, as he called it) of the Acropolis and Areus Pagus in Athens is one of the few that takes into account that these buildings were polychrome. This 103 × 148 cm oil painting was finished in 1846 and bought by Ludwig I of Bavaria (who had already resigned as King at the time) in 1852. It now hangs in the Neue Pinakothek. Leo von Klenze was not a painter, he was an architect active mainly in Munich, where he designed several including the royal residence, the Glyptothek and the Alte Pinakothek. 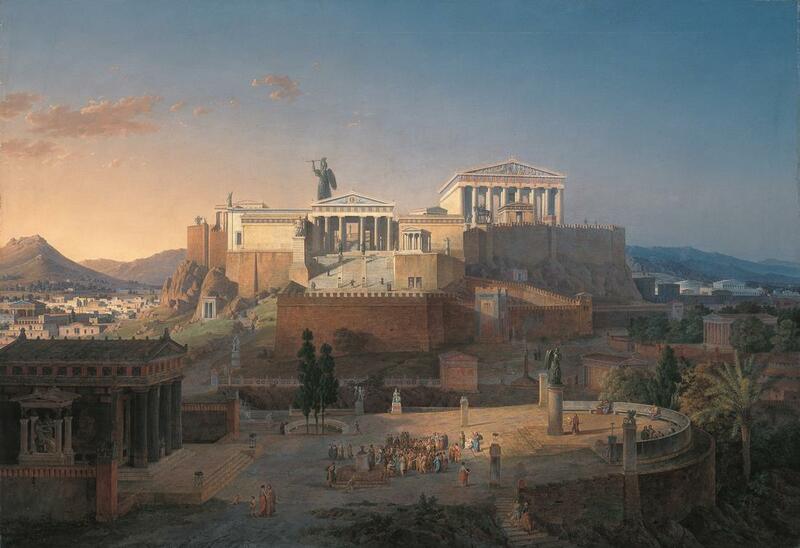 Some of his buildings were strongly inspired by the Parthenon in Athens, but he never gave them a polychrome finish.